Most Expensive House in the World: Every people is in love with the place they live. Whether it is tiny like studio apartment or large like a mansion, it is always special for the one who owns it. Usually people buy or construct such homes which are enough for their family members. You must have seen apartments with 2BHK or 3BHK facilities. But have you seen homes which are worth way beyond than the bank balance of your entire family? Well, we are introducing you to the most expensive house in the world. We have made a list of the World’s most expensive house right below here. Where people are not even able to afford a shelter, some of the business tycoons and famous personalities have made their homes so larger than life that it can shelter an entire town. We are throwing a limelight on the most expensive house in the world. You are so going to be blown off by their extravagant details that you will feel like owning one of them. 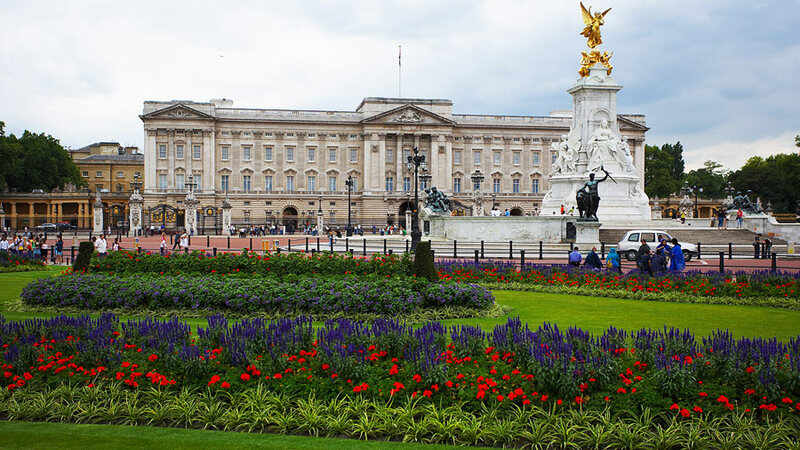 Buckingham Palace is surely the most expensive house in the world. You cannot doubt the luxury of the palace where the Queen of England resides. This extravagant palace costs around $1.5 billion. And its cost keeps on increasing with the different development, restoration and modification works. Owned by the royal family of Britain, this palace has a total number of 775 rooms. Well, it is way higher than any five star hotel. Apart from the rooms it has, 92 different offices, 52 royal and guest bedrooms and even bathrooms in this palace are 78. Some of the offices in this Palace belongs to The Earl and Countess of Wessex, The Duke of York, The Princess Royal and Princess Alexandra, The Duke of Edinburgh and others. Too much of royal people at one place, huh? The most expensive house in the world is designed in such a way that it gets enough space to organize royal dinners, receptions, lunches, banquets and royal garden parties. However, there are still some of the places in this mansion that nobody knows about except the Queen. After clearing your doubt about what is the most expensive house in the world, it’s time to move to the next house which is Antilia. The name of this house is kept on an island in the Atlantic Ocean. It belongs to the richest man in India and multibillionaire Mukesh Ambani. The house is formed in the shape of a huge skyscraper kind of building which has 27-storey in it. The net cost of this huge sky high building is around $1 billion. It covers a vast area of 40,000 square feet and lies on one of the most expensive area of Mumbai, Altamount Road. The luxury of the house is way beyond than your imagination and even the electricity bill of this most expensive house in the world comes in million dollar price. 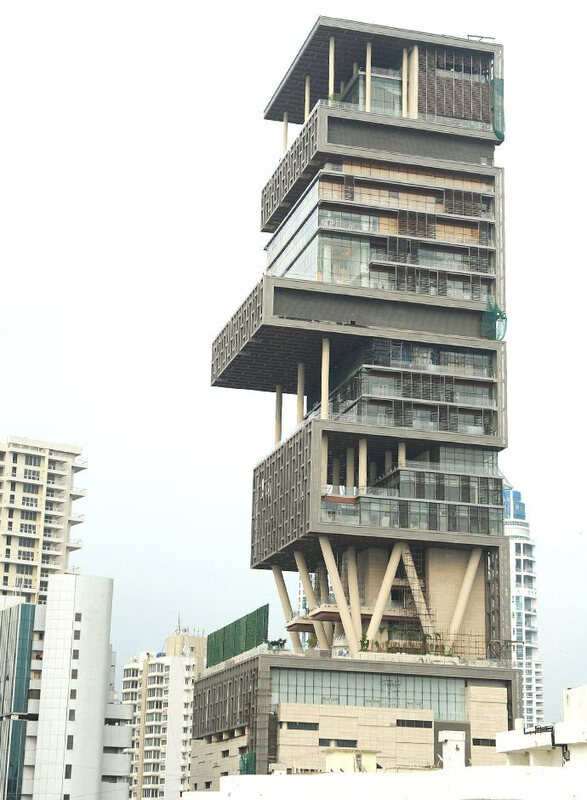 Antilia is the most expensive house in India and is too good to be true. It has a garage which has space for over 168 cars. It even has its own helipads and that too three. Apart from all, it has a ballroom, mini theatre for 50, temple, health center, gardens and a lot more. Just when you thought what is more in our kitty of most expensive house in the world, we came up with our third one. 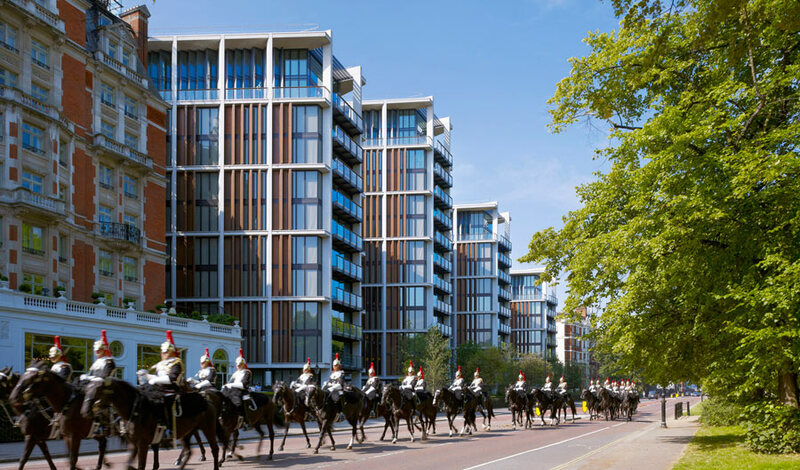 The Upper Phillimore Gardens in Kensington is worth $980 million. It is situated in the South West area of London. The wonderful mansion is owned by Ukrainian businesswoman and philanthropist Elena Franchuk who is also a friend of Sir Elton John. This place is divided into five floors and each one is unique piece of creativity in its own. Apart from these floors, the other utilities in the premises are Sauna, Cinema and a private gym. The mansion and its floors are designed in such a way that by keeping the ceiling height appropriate it can explore more of the natural light. The Second floor is all about the owner of this house as it is the master floor. It is comprised by master bedroom (comprised of two bedrooms) and two dressing rooms as well. You can see the reflection of typical London architecture in this most expensive house in the world. The mansion also hails a separate kitchen which leads to an explicit dining room. Our next pick for most expensive house in the world is The Pinnacle which is situated in Montana, US. The luxury house is owned by Edra and Time Blixseth. This huge and amazingly constructed mansion is boast to be cost $944 million. It covers an area of more than 56,000 square feet. The uniqueness of this lodge is that it is situated in quite cold area but every floor of this place is heated so that you do not feel cold at all. It has 123 rooms and the amazing view of mountains and hills is like the icing on the cake as it is basically a ski lodge. 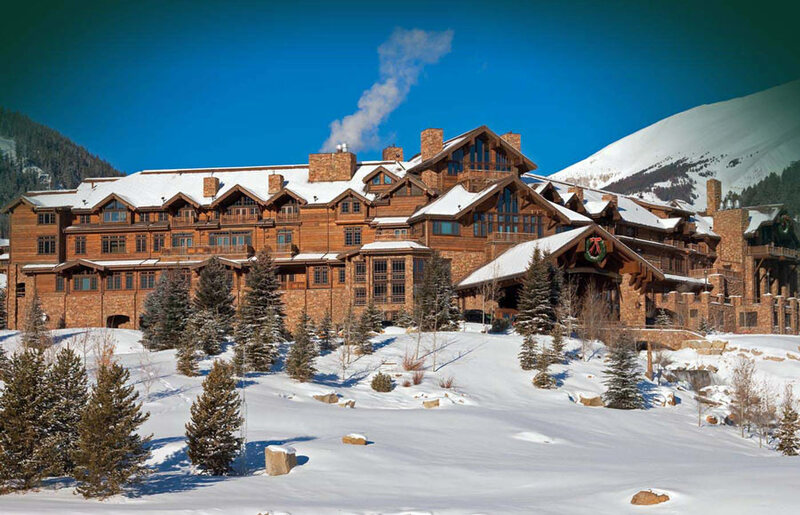 This is the costliest property in the entire Yellowstone club which is owned by the Blixseth too. It is a club only billionaires belong to. This 4th position most expensive house in the world has amenities like pools, gymnasium, warm floors, wine basement, ski lift and others. The unique key feature of this place is that it has fireplaces even in all bathrooms. This piece of property has ten exquisite and lavish bedrooms in it. When Dmitry Rybolovlev (Fertilizer King) bought the Mason De L’Amitie from Donald Trump in $95 million, nobody thought that its current value could reach up to $913 million. Yes, you heard that right, this beautiful mansion which was bought by Russian businessman in 2008 now includes itself in most expensive house in the world. It is situated at Palm Beach, Florida and is no less than a beach kingdom on its own. The USP of this mansion is its sea facing view. Yes, this huge mansion is situated just near a beach and possess a super huge garage which is capable enough to keep 80 cars in it at a time. The swimming pool out here is also extravagant as it is around 30.5 meters long. The safety of this mansion was the prime factor and therefore all the windows are bullet proof. This most expensive house in the world has a giant ballroom for the parties. In other details, it has 22 bathrooms with 18 bedrooms. It also even has 3 separate cottages for the guests. Just when you thought the list of most expensive house in the world is going to end soon, we proved you wrong. Yes, another contender in this list is the beautiful Hala Ranch which is located in Aspen, Colorado. This house costs a whopping $821 million. The owner of this house is famous billionaire John Paulson. The house covers a huge area of 56,000 square feet. The previous owner of this house was Saudi Prince Bandar Bin Sultan and in his ownership the house used to cost $135 million. The property has a main house and several other side buildings too. The house is not just a simple place to live but lace with some high tech features. It has its own water treatment plant and even a gas pump. It is like a kingdom in disguise. The main building of this place is the main house. It has 15 bedrooms with 16 bathrooms which are too lavish to be true. Just like other most expensive house in the world it also has the usual facilities like swimming pools and gymnasium. Another gemstone of our list of most expensive house in the world is Fleur De Lys. This amazing house is situated in Beverly Hills, Los Angeles. This is a huge five acres property in Holmby Hills. The total area this mansion covers is 45,000 square foot nearly. The owner of this house former junk bond king Michael Milken and costs $760 million. This piece of property has 12 bedrooms along with 16 bathrooms. The house is designed by architect Richardson Robertson III of Robertson partners. The house has everything that a multibillionaire person needs for his living. It has a ballroom for parties, gymnasium, mini theatre which is capable for the seating of 50 people. Apart from it, the luxuries that Fleur De Lys possess is a tennis court, pool house and a running track which accounts for 1200 foot (320m). 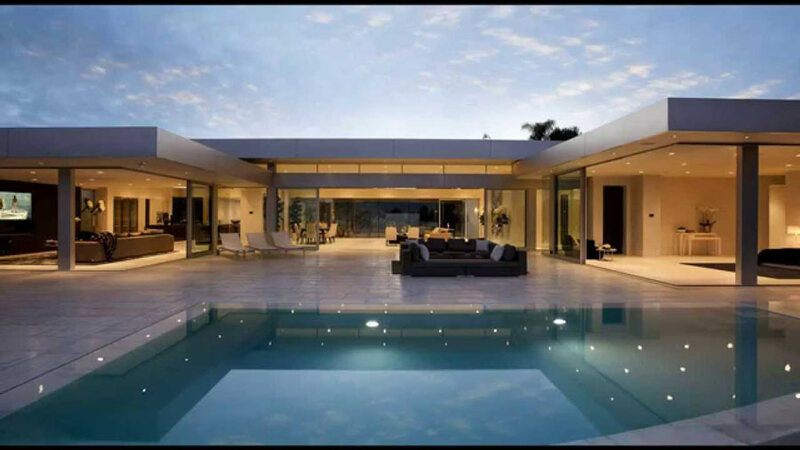 This is not only one of the most expensive house in the world but also one of the costliest property in Los Angeles. It took a period of 6 years for this house to be built as it was commissioned in 1996 and completely constructed in 2002. Europe has always been beautiful and has some amazing sights to behold and one of them is this massive and extravagant most expensive house in the world Villa Leapolda. It is situated in Cote D’Azure, France. The house costs a huge amount of $457 million and the proud owner of this house is the Great Russian billionaire Mikhail Prokhorov. This house covers an area of 29,000 square feet and is established like a gemstone in the beautiful French town of Villefranche-sur-mer. The Villa is basically one of those villas created by King Leopold of the Belgian for the love of his different mistresses. 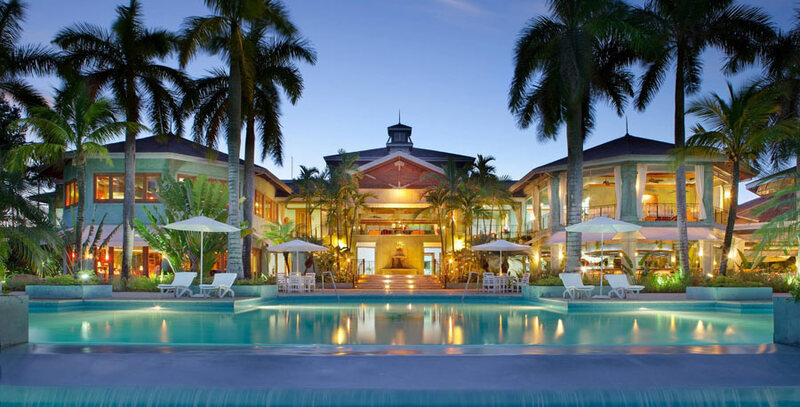 This beautiful Villa is comprised of 11 bedrooms along with 14 bathrooms. The other utilities to be explored in this area is amazing gardens, pools and even private beach front. This house is the largest property in the entire Cote D’Azure area. 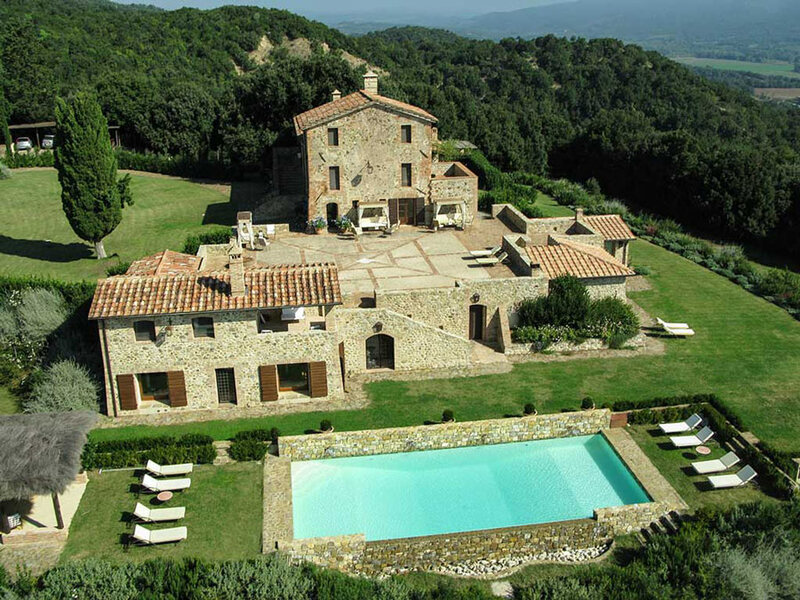 This Villa was previously owned by Gianni Agnelli and currently is in perfect condition. Among other fancy utilities of this Villa is greenhouse, lavish guest house and a helipad. This is surely one extravagant and most expensive house in the world. Four Fairfield Pond is not only one of the most expensive house in the world but it is also one of the biggest house in the world too. You can imagine its vastness by the idea that it is spread in an area of 63 acres. 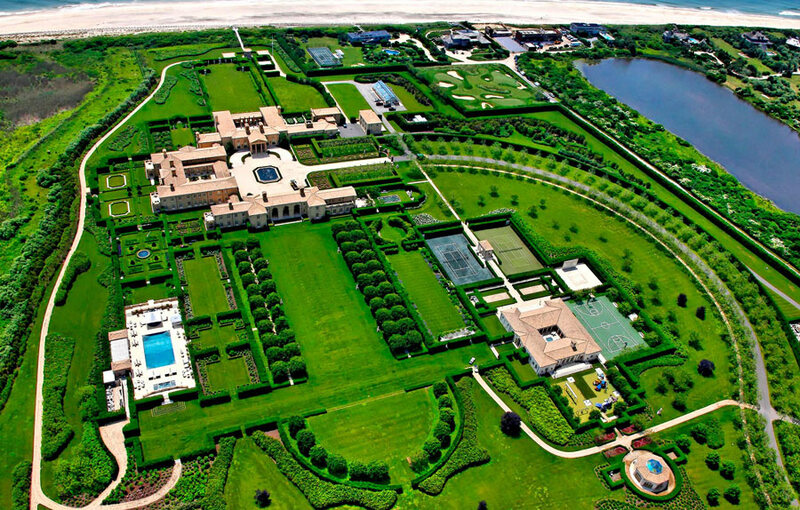 This huge mansion like house is located in Sagaponack in New York. The proud owner of this house Ira Rennert who is also the owner of Renco Group. The price of this house this $248.5 million. This huge mansion has 29 bedrooms along with 39 bathrooms. Each room is an example of unique interior and amazing architecture. Other amenities and utilities in this house are a huge magnificent dining room, tennis court, squash court, basketball court, and a bowling alley. You do not have to worry about the power failures in this house at all because it has its own power plant. The specialty of this mansion is its $150,000 hot tub. This most expensive house in the world even has a beach front and people visiting it are not able to believe that it is completely private. This house is not used for any resort or hotel purposes. 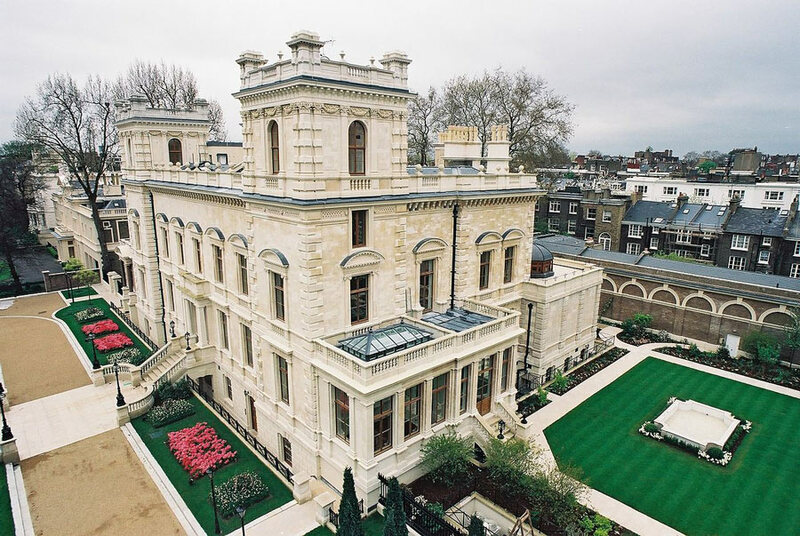 18-19 Kensington Palace Gardens is another pick in the category of most expensive house in the world. This house is owned by one of the richest Indian businessman, Lakshmi Mittal. He is the owner of the world’s largest steel producing and manufacturing company Arcelor Mittal. The total net worth of this huge mansion is over $222 million. The house is exactly located in the Billionaires Row in England. This beautiful mansion reflects the typical old Britain style architecture. This house is comprised of 12 bedrooms, an indoor swimming pool and a Turkish bath. It even has a garage which has the capability of parking more than 20 cars in it. The beauty of most expensive house in the world can be accumulated by the fact that it is situated right next to Prince William’s house. The Ellison Estate is not only one of the most expensive house in the world but also one of the most beautiful house too. It is situated in Woodside, California. You must have understood by the name of the house who owns it. Well, it is the third richest person in the world Larry Ellison who is the co-founder of Oracle. This huge mansion covers a jaw dropping area of 23 acres. If you would look at this house then you would find it simple but little did people know that it is comprised of over 10 buildings inside. The house also possess an artificial lake which makes this house turn into even more beautiful. The Ellison Estate is so large that you cannot eve visit it in just a day. It even has its own bath house and tea house. Made in the Japanese style architecture it also have a koi pond in it. This most expensive house in the world is surely worth of every penny spend on it. The name of this most expensive house in the world says it all. It is located in the San Simeon area of California. If you want to recall how this house does look then you can watch the movie “The Godfather”. It was built by William Randolph Hearst. The house currently has no particular owner and thus managed by William Randolph Hearst’s trustees. 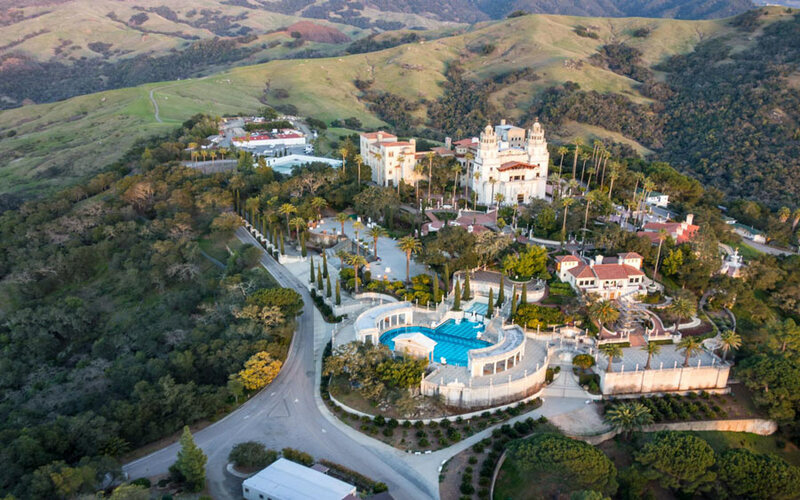 Currently the Hearst Castle accounts for $191 million dollars. This lavish castle has over 27 rooms along with 30 bathrooms. The house has a lot of historical importance. This one of the most expensive house in the world has given shelters to people like Clark Gable, John and Jackie Kennedy, Winston Churchill and many others. This site is now used as a famous tourist site and also accounts as the integral part of California Park System. Its creator William Randolph was the person who is responsible for the introduction of printed newspaper in the country. Looking for an extravagant place in London? Well, this Hyde Park apartment might grab your attention here. 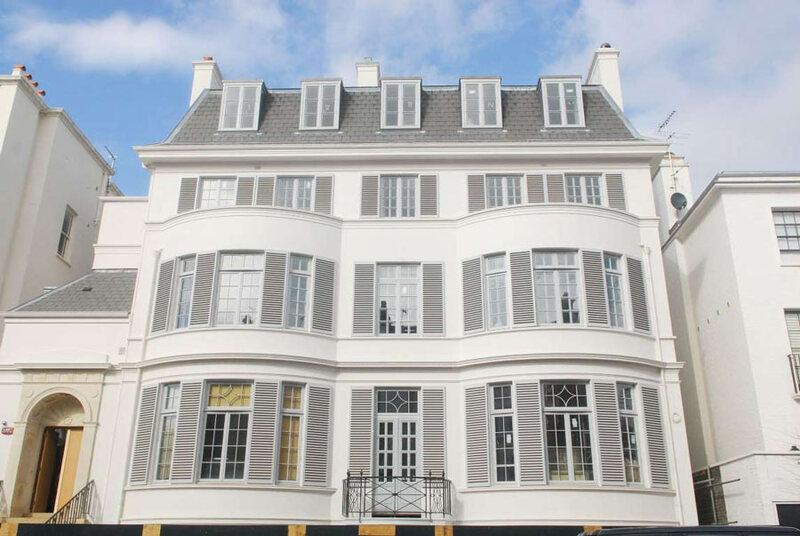 Located in the Knightsbridge area of central London, it is worth a price $137 million. These penthouses are constructed under project Grande limited. This penthouse is spread in an area of 385,000 square feet which is actually quite large. The features of this penthouse is enough to include it in the list of most expensive house in the world. The price per square foot out here is £6,000 per square foot. This penthouse is especially designed by keeping in mind the security of the owner. There are high tech systems installed like Panic room, iris scanner and even bulletproof windows. You can find a tunnel out here which leads you to the nearby area of Mandarin Hotel. The other general facilities in this penthouse is, squash courts, communal spas and also the creative and amazing wine tasting rooms. You are attended 24 hours by the servants here so that you do not feel any sort of discomfort. I guess this is enough to grab a lot of eyeballs and attention of billionaires and millionaires over it. Having a worth of $135 million and a vast area of 6 hectares, the Beverly House is increasing the temperature in the Beverly Hills area of California. The house exactly lies in the famous platinum triangle neighborhood of Beverly Hills which is a home to many celebrities. This is surely one things which must be included in the list of most expensive house in the world. The house was first bought by Leonard Ross in 1976 when he was only 31 years old. The house falls in the neighborhood of famous personalities like David Beckham and Victoria Beckham, Tom Cruise etc. This mansion is constructed by keeping in mind the Italian and Spanish style. The mansion starts with the entry hall which is as large as 50 foot. The other amenities involved in this mansion are a huge library, room for billiards, a family room which has a conjoined terrace which is capable enough to host 400 people at a time. The fanciness of this royal piece of architecture can be judged by the thought that it even has a night club and wine cellar along with projection room and spa. Our last pick in the category of most expensive house in the world is Xanadu 2.0. This vast house covers an area of 66,000 square foot. Made in the pacific lodge style and situated at Medina, Washington, US, this house is not something ordinary in this list. It costs a whopping $125.5 million. 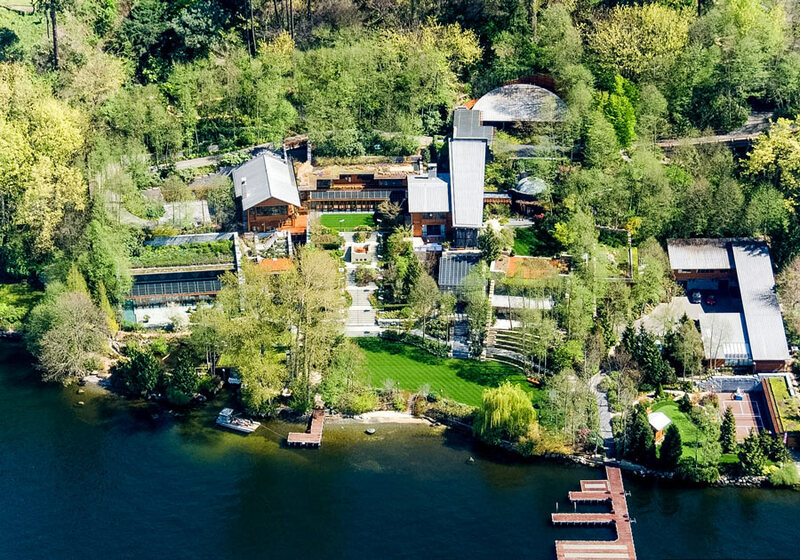 This is owned by none other than Bill Gates and it forefronts the Lake Washington. If we are talking about the house of World’s richest man and owner of Microsoft then there is no way that technology can be left behind. The house is named Xanadu 2.0 after the title character’s estate in Citizen Kane. This giant jaw dropping house took nearly seven years just to build and the furnishing and interior separate. 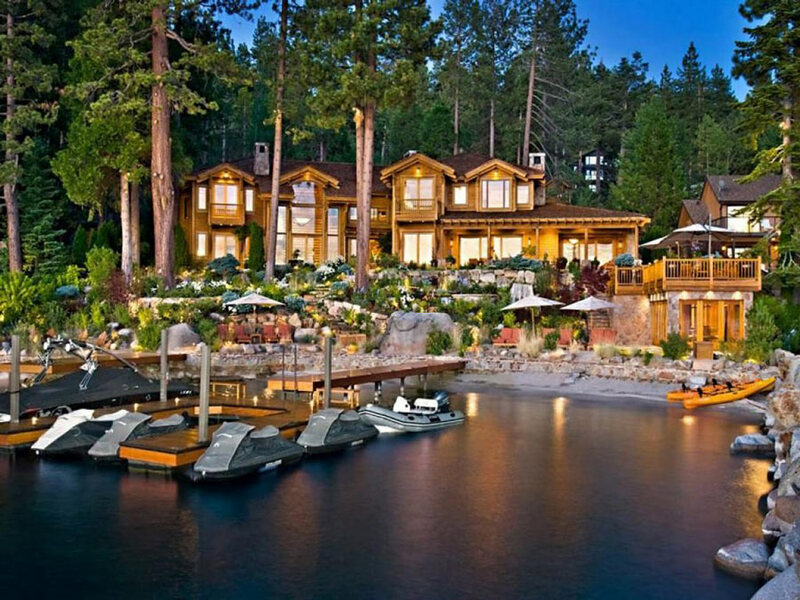 This amazing list of some of the most expensive house in the world must have made you drop your jaw right away. I hope all your doubts regarding the confusion of what is the most expensive house in the world must have cleared by now. All of them either are skyscrapers or covers a really large area. You must have only seen a golf course so large but can you imagine an entire mansion built on such a large area? Well, these world’s most expensive house are leaving behind every possible imagination that your mind can ever bear.